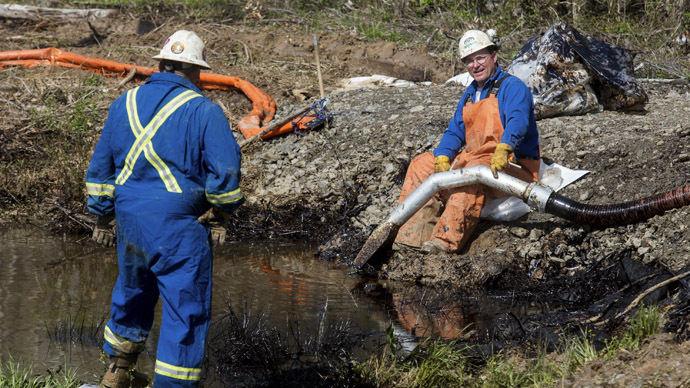 As ExxonMobil's week from hell continues after a spill of Canadian crude oil and questions on why the energy giant is exempt from contributing to a federal cleanup fund, it is now dealing with a fresh chemical leak at a refinery in Chalmette, Louisiana. According to the New Orleans Times-Picayune, residents of the New Orleans suburb began reporting strong odor of “burning tires and oil” to the local Coast Guard on Wednesday. The claims were soon connected to a report issued by the ExxonMobil refinery the same day. 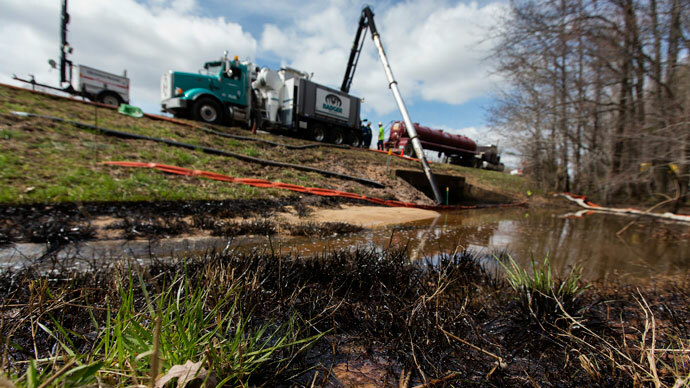 Confusion remained, though, over the amounts and types of chemicals dumped as a result of a break in a pipeline connecting a drum used to store “liquid flare condensate” with a flare. At oil refineries, flares are gas combustion devices generally used to burn off flammable gas released by pressure relief valves. 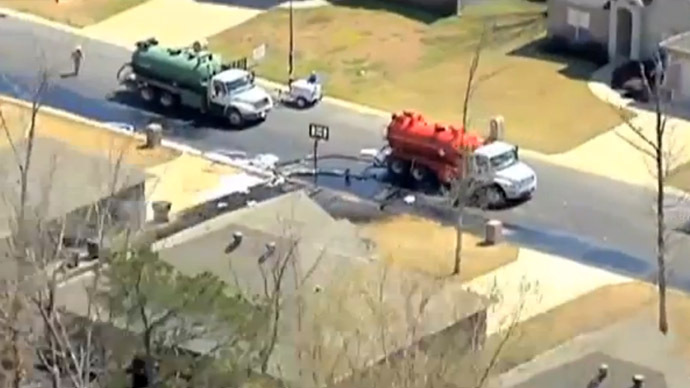 In this case, the spill itself was of the condensate water. 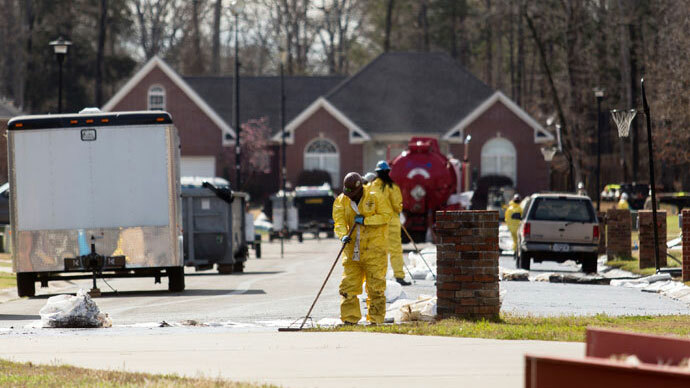 Once the refinery’s leak reached the threshold that would require it to be reported, ExxonMobil announced that it had released 100 pounds of hydrogen sulfide and 10 pounds of benzene, a volatile compound known to cause cancer. According to the Coast Guard’s National Response Center, however, the oil company is now unsure of the quantities and of which chemicals may have contaminated the area. According to readings at the spill site, the refinery measured 160 parts per million of hydrogen sulfide and 2 parts per million of benzene in the air. Meanwhile, an online version of the report filed by the company simply stated that an unknown amount of wastewater had leaked from its Number 1 flare drum. “My name is Earl, I live at phillip neighborhood. I felt bad all yesterday because yesterday I smelled some of that oil. I haven't seen a doctor yet. Thanks,” posted one user. 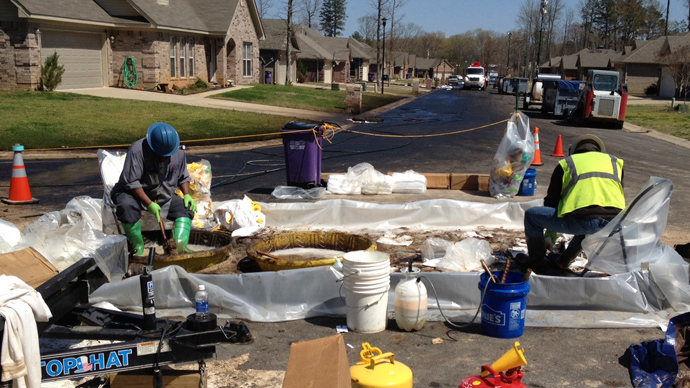 According to Bucket Brigade director Anne Rolfes, the process for both measuring and reporting such a spill in the area is severely lacking. “It is surprising that we don’t know the source over 12 hours after the first reports were filed," Rolfes told the Times-Picayune. "We need an overhaul and an upgrade of the state’s skimpy and inadequate air monitoring network. A decent air monitoring network would help officials to locate the source of the odor automatically, rather than having to drive around looking for it." 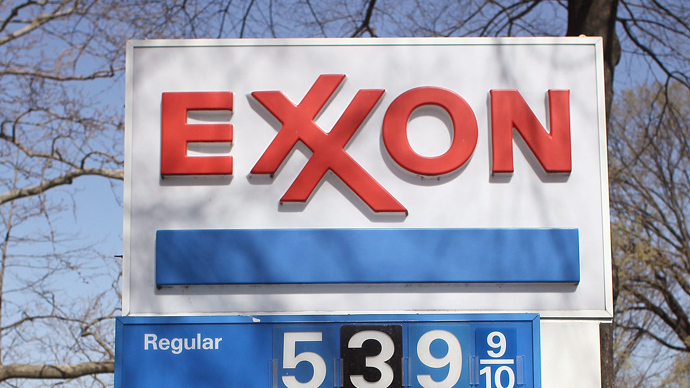 According to the paper, the same ExxonMobil refinery suffered a 360-barrel spill last January. At the time, local residents complained that drops of crude oil were splattering their vehicles. A federal rule requires the refinery to comply with the Clean Air Act, which regulates emissions, and also led the facility to file a report in March which noted 10 recent releases that had violated pollution limits. According to that report, most of the releases were prompted by a failure of pressure safety valves and other equipment. Of the 18 oil refineries currently operating in the state of Louisiana, the facility at Chalmette is one of the largest.